Seeking a promotion and some wings, an Angel and a Demon must convince a washed up rocker to write a song that will change everything. 259 backers pledged $10,490 to help bring this project to life. We did it! Thank you so much to all our amazing backers! You made this movie possible. We can feed our crew and pay for the essentials we need. In these last few hours, we're continuing our push until the very end with a special dream in mind. 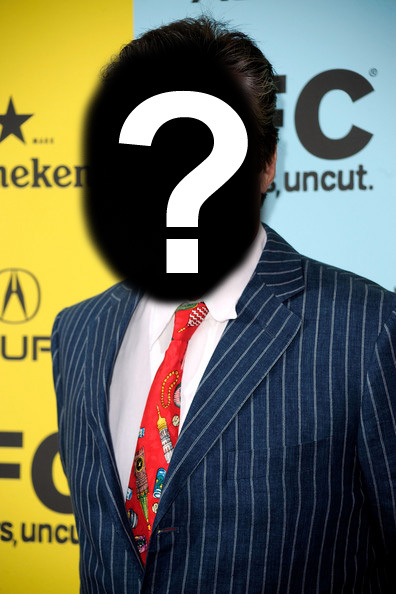 We are talking with the agent of a big name actor about doing a short cameo role in the movie and the actor is interested! We can’t say who it is, but we are super excited about the possibility. If we make $14,000 dollars, we can fund the trip plus room and board. Any money past the ten grand goes toward making this happen. Star power can push our film up to the next level. Please continue with us to make our project as successful as possible. Thanks for being willing to share and keep our project visible until the close! If you’re already pledged, thank you so much. You make what we’re doing possible. If you’re just discovering this campaign, sign yourself up for one of our many great incentives and share with your friends! 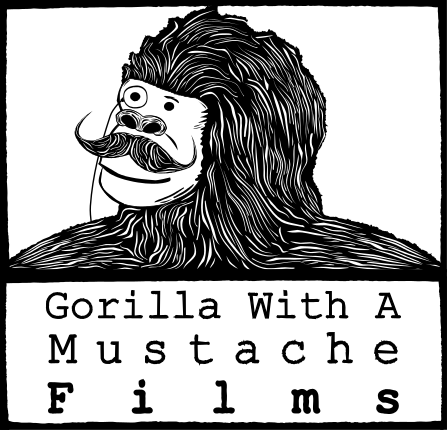 Gorilla With A Mustache is a production team based out of Asheville, North Carolina. In the summer of 2009, a group of friends got together and started making short films. In 2010, the team won Best Picture for the city of Asheville at the 48 hour film festival and went on to the Miami International Film Festival. In 2011, the team's short film 'BUMP' won the audience choice award in Asheville and played at the Love Your Shorts Film Festival. It is currently an official selection at the Charleston International Film Festival. This story is a comedic romp about a demon searching for the meaning of life, an angel who doesn't realize he needs to change his life, and a former rock star who has no life. It's all about Redemption, Radness and Rock and Roll. We are looking for production funds to be able to rent the bare necessities and basically feed the cast and crew. Nothing fancy, nothing flashy--we just need a modest budget and lots of volunteers to make the feature film happen. If we can raise more than our stated $10,000 goal, it will only help towards making this film be the best it can be. Where will the movie go once it’s done? Part of this budget is allotted to sending the movie to film festivals. We'll start with bigger film festivals like Sundance and Cannes, then move down to smaller, niche festivals like the Asheville Cinema Festival. After the movie makes its run, if we don’t have any kind of distribution deal, we’ll look into self distribution on iTunes or Amazon. Katie Damien is the director. She has a piece of paper from the University of Central Florida’s film school that says she knows what she’s doing. She also has three Emmy Awards that agree. Eruch Adams is the writer and story creator as well as co-producer. He runs a company, and finds time every day to write screenplays and novels. He has an IMDb credit for Hitman (among other games) because he used to test video games for a living. He thinks making movies is even more awesome than getting paid to play games all day. He is probably wrong, but he's under contract, so... too late. Lela Winton is the producer. She worked on one of the films with a newborn in tow. That baby practically came out of the womb asking the doctor to sign a release. He is going to be a movie genius when he grows up, just like his mom. Coranna Adams is the associate producer and co-writer, script editor, and a bit of a taskmaster. As a reformed English major, she ensures that the cursing, buffoonery, and meanderings of a mostly ignorant Angel and an abusive Demon have that certain je ne sais quoi, so you'll know you're watching an indie film of the highest caliber. Matt Shepard is one of the lead actors and co-writers as well as an associate producer. He doubles (triples? quadruples?) as the graphic designer of the Gorillas. He has an unrelenting drive to see this film be the absolute best it can be. Kipper Schauer is one of the actors in the film. Though not a Gorilla's producer, Kipper has been an active member of the team whenever it's time to get down and make $H!# happen. He helped write the story for last years BUMP 48 hour film. Kipper is renown throughout Asheville and San Diego as a master DJ and runs a wild and popular Monday night trivia called Kipper's Totally Rad Trivia. Kipper will reprise his roll as burned out rocker with a heart of gold. Dave Dietrich is a very talented actor and plays angel Mezudio with a spice and panache all his own. He was also a co-writer on Touched By Angels. When not acting he can be found writing poetry, strumming his guitar and writing plays. He is ready to unleash Mezudio on the world. Check out our official website! A personal thank you message from the team. Early release DVD signed and personalized to you by the team and actors, thank you credit in the film. We will make a short comic strip about you and your life. You provide some details, we do the rest. Those who are receiving the personal song, will also be getting thank yous in the film and copies as well.